in Lot C (between church and Demonbreun) and Lot A (across 7th Ave. from church). Wednesdays: 6 p.m. – 9:30 p.m. Please consider using our additional Sunday morning church service and Wednesday evening church activities parking at Customs House, available through the gate on the west side of our Lot A (the lot across Seventh Ave.). This will help us alleviate overcrowding in Lot C. Adult choir members who come Wednesdays after 6 p.m. should use this lot. Thanks to Customs House management for this helpful assistance! 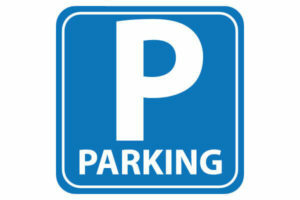 If a Premier Parking attendant is at the entrances, simply identify yourself as attending church. Enter Lot A from 7th Ave. South or McGavock between 7th and 8th. Then cross 7th Ave. to enter Door 3. Handicap spaces are convenient in Lots C & A (Door 4 has a curb cut and a ramp; please notify a greeter as you pass Door 3, so they can open Door 4 for you). Enter Lot C from Demonbreun or 7th Ave South at McGavock. We encourage members to drop off their passengers at doors 3 and 6 before parking. Those drivers physically able to park further from the entrances, please do so to allow our young moms, senior elderly adults, and guests to park close to the entrances, please. Thank you!